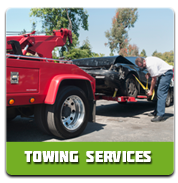 “I had the opportunity of doing business with Super Towing when my car broke down a few weeks ago. I was extremely impressed with the top quality customer care I received. Super Towing really cares about their customers and it certainly shows in their professionalism. They must have the friendliest customer care staff I’ve ever had the privilege of speaking to. The bill fully matched the initial quote I received over the phone. I’ve passed your details along to all my colleagues at the office. A+ rating from me!” – David P.
“I would love to share a fantastic experience I had with Super Towing. I was traveling back from my sister’s birthday party and midway during the journey home, my back tire had popped. I called my sister and asked her for advice on a reliable towing company. It must have been my lucky day because the friendly technician from Super Towing was at the scene in roughly 25 minutes. It took him almost no time to fix the flat. I was able to get home and still catch the Senators game. You guys are absolute lifesavers!” – Carla F.
“Super Towing was there for me when I needed an emergency towing at 3:30am on a Friday night. I had been experiencing some issues with the transmission for a while, and it finally gave out on me. I heard about you through a friend who had a great experience in the past. When these guys say they’ll arrive on time, they mean it! Thank you for getting me out of a nightmare situation. 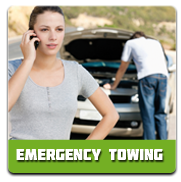 I’ve already taken the liberty of saving your number for any future roadside emergencies.” – Aaron T.
“I had wonderful experience with Super Towing recently. I just bought a new home 20 miles from where I used to live and needed a flatbed to get my Jeep Wrangler to its new garage. I had scheduled a same day pickup and delivery for the 5th of April, 2013. I must give credit where credit is due. The kind young man had my precious Wrangler transported in less than an hour. You really feel like you’re dealing with friends rather than an actual company. The quote was excellent and they met my criteria. 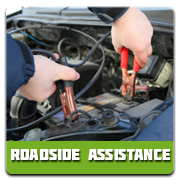 What more can I say, except for thanks!” – Donald R.
“When my car didn’t start after work, I immediately began to panic. As it turned out, the car battery had died. I accidentally left my headlights on in the parking garage all day. I called Super Towing for professional assistance. They sent a really polite technician named John to give the dead battery a boost. All I had to do was give them my company address and they arrived in less than 30 minutes. I’d be stuck in that freezing garage all night if it weren’t for you guys. Thank you from the bottom of my heart.” – Theresa M.